Dandelions – You either love them or you don’t. Most don’t. They are notorious for being a pain to eradicate and those with the need of a perfect plush & manicured lawn consider them their nemesis. 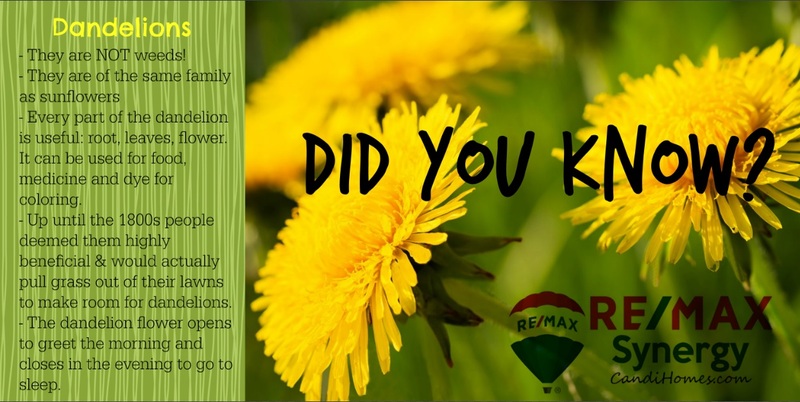 Whatever side you are on, dandelions may pose as a source of “Ugh” from potential buyers when touring your listed property. It is recommended to somehow treat your yard of these golden creepers for that time being. If you are uncomfortable with pesticides, you may have to manually weed them. But, that means constant weeding that feels like it will never end. Dandelions don’t care whether you want a green yard. Their root can be up to 10 inches long and is easily broken, potentially leaving a portion of root which can regenerate the plant. They will spew their yellow spurs over every inch of grass faster than you can shed a defeated tear. One natural alternative (please share with us if you have ever tried this!) is to spray the plant with pure vinegar. The acidity of straight white or apple cider vinegar is said to destroy dandelions within a few hours of being sprayed.